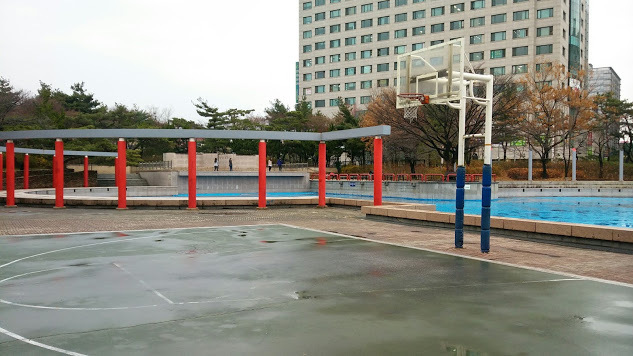 Parc de Paris has one full court and two shoot-around areas. The full court has an urban feel to it. Whether it has a French feel should be decided by the players. Boris Diaw et Tony Parker, où êtes-vous? 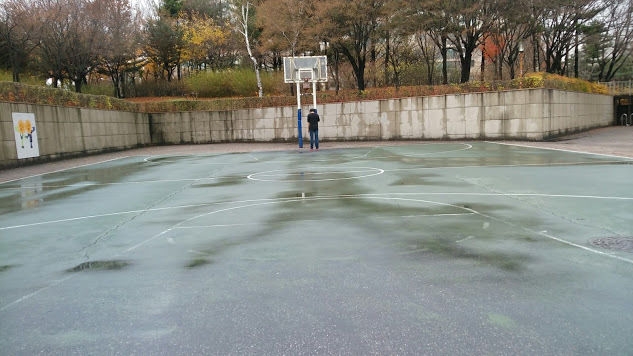 This basketball court is useful if you just want to shoot around. It's not a place you're likely to find a decent game of pick-up ball though. The court is located in a densely populated area, so there's plenty of pick-up to be had. The court has adequate grip. The court is not well-lit. Be aware of the nearby fountain. Especially when driving to the hoop or throwin' Javale McGee-like passes. 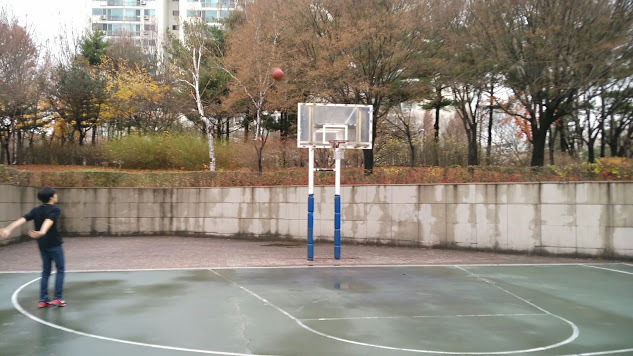 The two shoot-around areas are not in a designated 'basketball' area. They are better suited for children. Parc de Paris itself is a nice park. If you're interested in some post-basketball food and drinks, Mokdong Station has an underrated restaurant/bar scene. To see more photos, please visit the Parc de Paris Basketball photo album. Parc de Paris is about 1.1 - 1.2 kilometers from Omokgyo station. -Come out exit 2 and walk straight for 20 meters until you reach a four-way intersection. Take a left. -Walk about 40 meters until you see a street (Mokdongseo-ro) to your right. Cross the road and walk down this street. -Walk down this street for 920 meters. Parc de Paris will appear on your right. 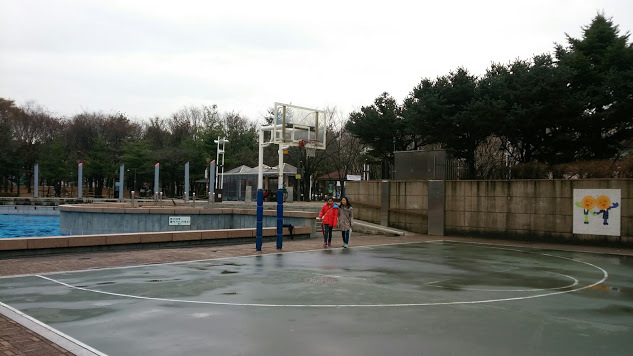 **About 150 meters after you take a right onto Mokdongseo-ro, another park will appear on your left. This is Omok Park, not Parc de Paris.